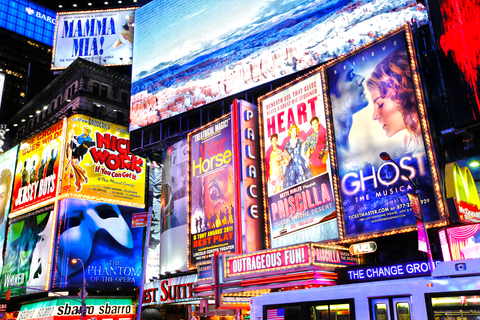 ​This week, show some pride in New Jersey by taking a trip to New York City and interacting with the broadway world. You will not regret it! ​With original cast member John Lloyd Young leaving the show this upcoming Sun., July 28, now is the last chance to see just what got him that 2006 Tony Award for Best Leading Actor in a Musical. One of the less expensive alternatives to see the hit show is the $27 Student Rush at the August Wilson box office. The box office opens at 10 a.m. and tickets are given out on a first come, first serve basis. Each student (with a valid school ID as well as a government issued ID) is allowed up to two tickets each per 30 day period. Tickets may be partial view. Not a student? Not an issue. The August Wilson also sells Standing Room Only tickets for $27. SRO tickets are for sold out performances only. Tickets are limited to one per person. Please note that both options are cash only and may be located in areas of the broadway theater with a partial view. For more information on the broadway cast, music and tickets visit the show’s website.